First concrete OPC UA Companion Specification based on a realistic set of parameters was presented at EMO Hannover 2019. Global networking as envisaged by Industry 4.0 will only succeed if the data exchange takes place via standardised interfaces over the entire process chain. 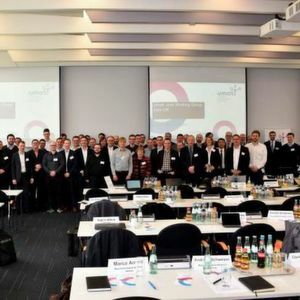 In its new Umati brand, the VDW (Verein Deutscher Werkzeugmaschinenfabriken - German Machine Tool Builders' Association) is developing such an open interface standard for connecting machine tools to higher-level IT systems. This significantly simplifies digitalisation and allows medium-sized companies to tap into the potential of modern production environments. Visitors were treated to a large-scale demonstration of how Umati works on the Umati booth in Hall 9 at EMO Hannover. 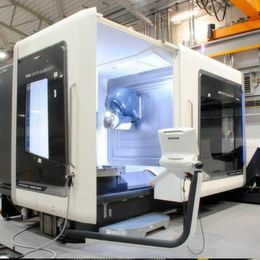 It was planned to link up at least 100 machines from national and international manufacturers, and to present the latest developments and the internationally agreed draft of the Companion Specification. The VDW's Umati interface (universal machine tool interface) based on OPC UA aims to ensure that data from machines equipped with different control systems is routed through an open, standardised connection. It is comparable to a USB stick. Digitalisation has long been part of the daily business of machine builders. The companies have had plenty of time to formulate their expectations and ideas for the practical application of Umati. "At Profiroll, we're currently concentrating on analysing machine data in order to achieve ever finer tolerances while ensuring process reliability. 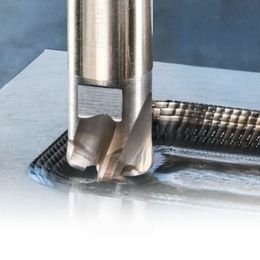 In recent years, for example, we've developed a hardness compensation system that irons out fluctuations in the infeed material on the process side – an intelligent machine, so to speak. 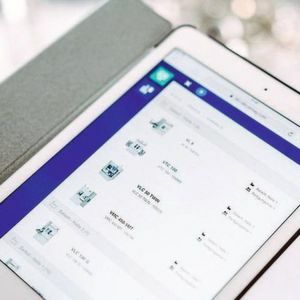 We initially worked elsewhere within the VDW on developing the Umati standard, since the in-house resources for software development are limited," says Dr. Stephan Kohlsmann, Managing Director of Profiroll Technologies GmbH from Bad Düben. "Our customers are increasingly demanding part-specific data and also information on the status of the machines and the quantities produced. We machine tool manufacturers know which information operators are interested in and are therefore ideally positioned to define a standard and agree it with the control manufacturers. In the future, operators of a wide variety of machine tools can expect to receive the data they need in a uniform context, in a uniform cycle and in a uniform data format. This is a huge step forward because then they only have to take care of the specific, standardised storage and processing of data," he continues. Regarding the potential savings and improvements that can be achieved through a uniform interface standard, Kohlsmann points out: "Today, machine manufacturers receive a set of requirements from each individual customer regarding the provision of key data in their own unique format. This is enough to justify time- and cost-intensive engineering processing and adaptation of software on a project-specific basis. The Umati standard makes it possible to fulfil many different customer requirements. 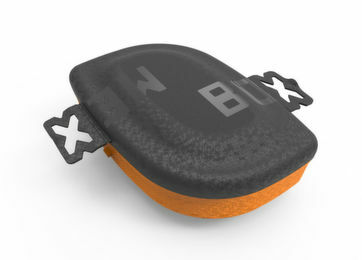 This is a revolutionary project in mechanical engineering and comparable to the new mobile transmission standard 5G which will enable developments such as autonomous driving, augmented and virtual reality or real-time applications to become part of everyday life." Digitalisation is also crucial at Samag Saalfelder Werkzeugmaschinen GmbH, both in automotive series production in its role as a plant operator, but also in the machine tools segment. "IoT or Industry 4.0 are based on having knowledge of the data produced and its significance during the lifetime of a system, and also on the use of a common language which enables all system elements to understand each other. Samag Machine Tools creates the conditions for this through close cooperation with the development departments of the premium suppliers," says Samag Managing Director Roland Emig. "There is also considerable potential for easier exports through the immediate implementation of machinery and equipment in existing organisational structures without national adjustments. In addition, there is the potential to reduce the number of variants, the possibility to safeguard concentrated expert knowledge within the company, and improved release security and data security," emphasises Emig. The specification being created is based on OPC UA (Open Platform Communications Unified Architecture) – a data exchange standard for manufacturer- and platform-independent industrial communication. "The standard provides both a data model and a communication structure for implementing parameters and semantics in an open, standardised form. That's why it's spreading so rapidly, especially in mechanical and plant engineering," says Dr. Alexander Broos, Director of Research and Technology at VDW, explaining the technical basis. The implementation is comparatively simple, since development packages can be used to configure and customise a so-called OPC UA server. Uniformly defined parameters, which are described and published in the form of an OPC UA Companion Specification, play an important role. 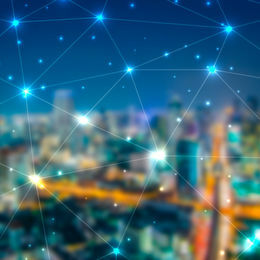 The OPC Foundation is an industry consortium that creates and maintains open connectivity standards for industrial automation devices and systems, and therefore represents a key partner. The growing importance of digitalisation is a key topic at EMO Hannover 2019. The "IoT in Production" exhibition area offers a complete overview of key aspects of digitalisation, such as Industrial Security, Data Analytics, Industrial Cloud Services, Process Monitoring, Predictive Maintenance, Artificial Intelligence AI, Machine Learning and Big Data Management.